that the French Quarter is the only historic neighborhood worth touring. more - all feature their own treasure trove of historic and architectural gems. overwhelming. 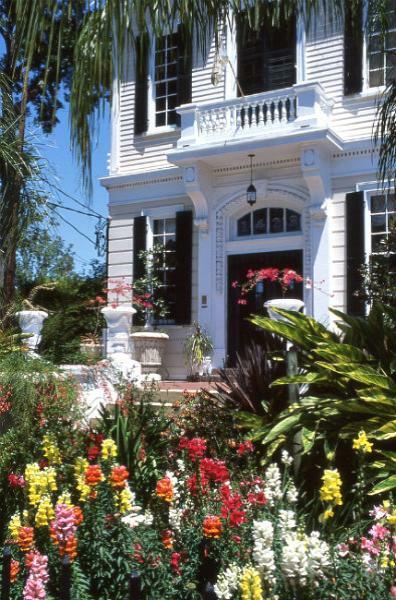 The Garden District is a settled haven of stable aristocracy." of the extravagance of their houses, but, also, their large front gardens. surroundings." I believe he'd agree that the same can be said today. started calling the American sector "the Garden District" as a rebuff. the house where quarterbacks Peyton and Eli Manning grew up. 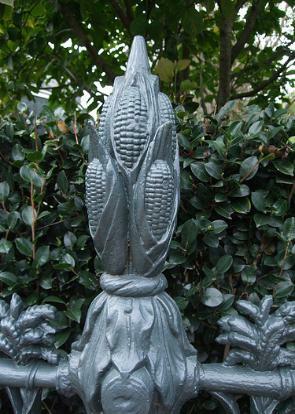 cornstalks at the base of the fence. in 1869 and known for the lavish parties given by its owner, Joseph Carroll. Mark Twain was a friend of Mr. Carroll's and often visited. examples of distinctive "iron lace." years ago. The house was built in 1876 for U.S. Senator James Eustis. 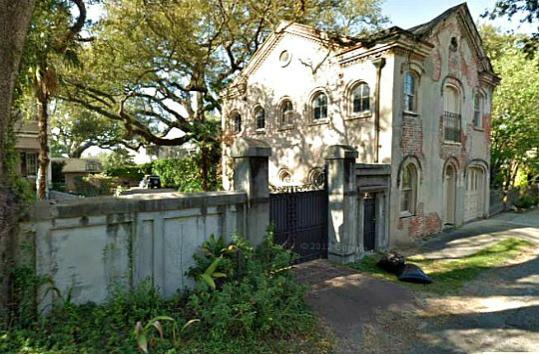 Above is the home of one of New Orleans' favorite adopted sons, actor, John Goodman. of medicine at Tulane University; there's a hall named for him on Tulane's campus.